The world population is estimated to be at 7.5 billion and it is increasing rapidly such that it is expected to reach 8.5 billion by 2030. The growth in population will demand proportional growth in food production levels in order to avert widespread hunger. Of the food production sectors the world over, fish production has had faster growth rates than any other food industry. Over the last two decades, fish production growth rates were between 8 – 11% per annum compared to poultry at 5% and vegetables at 3.4%. Globally, fish provides about 6.7 percent of all protein consumed by humans, as well as other minerals such as omega-3 fatty acids, vitamins, calcium, zinc and iron. The global per capita fish consumption is above 20 kilograms a year while it is at 5 kilograms in the region and 2.2 kilograms in Zimbabwe. A lot of potential is there to increase fish production in Zimbabwe due to abundant water sources. It is estimated that currently in Zimbabwe, fish production stands at 25 000 metric tonnes per annum, 15 000 metric tonnes of which come from aquaculture. Experts say that potentially, the country is able to produce 160 000 metric tonnes of from aquaculture only. 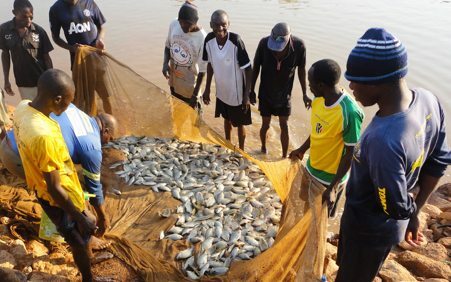 The government of Zimbabwe has in recent years developed a lot of interest in fish production and this has culminated in the launch of command fisheries and the schools aquaculture programs. Outside government, a number of players have also been working towards the development of the aquaculture and fisheries sub sector. One of them is Aquaculture Zimbabwe, a local non-governmental organization which started operating in 2008 as a trust and was then registered as a private voluntary organization in 2012. The primary focus of Aquaculture Zimbabwe has been the development of aquaculture and fisheries community projects for food, nutrition and income security. The organization has been pioneering low cost rural fish farming enterprises to vulnerable communities, particularly, in agro ecological regions III, IV and V which typically experience erratic rain fall patterns with prolonged dry seasons in between. AQZ activities follow the Ecosystem Approach to Fisheries and Aquaculture which are holistic strategies for managing capture fisheries and aquaculture that integrate ecological, socio-economic and governance dimensions. These strategies facilitate the sustainable use of natural resources and the integration of fisheries and aquaculture with other production sectors. 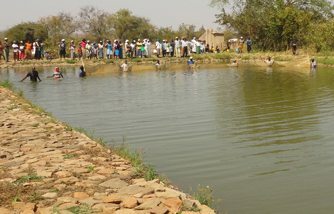 Making use of simple and low cost site specific pond technical designs, farmers with the high end technical expert advisory and guidance from AQZ, construct fish ponds and stock them with a resilient and fast growing warm water fish species that do well in the drought prone low lying areas of Zimbabwe. Through participatory approaches, AQZ works with the communities on feasible site identification, gravity fed water drainage techniques and identification of local farm based fish feed mixes that are used as supplements to commercial feeds. The fish ponds are seamlessly integrated with other enterprises such as gardens, orchards, apiaries and poultry. Integration lies at the center of many projects that AQZ has established as this brings sustainability to the primary activity. The integration of agriculture and aquaculture creates a system that produces nutritious food with modest labour demand and also sustains farm productivity year round even through droughts. The integrated agriculture aquaculture system design is founded on sustainability and synergetic effects where by products from one component of the system become inputs on the other component. Waste from poultry is used to fertilize water in the ponds for the effective growth of algae which is supplementary feed for the fish. 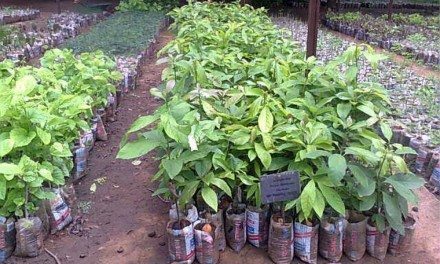 The fertilized water which nutrient rich is also used to water the garden while the bees on the apiculture component will get water from the ponds and nectar from the garden crops. While aquaculture production is increasing, there have been reports of declining catches in the rivers and dams. This has been caused by over fishing through unsustainable fishing methods particularly by unlicensed fishermen (also referred to as poachers). Aquaculture Zimbabwe has been identifying and working with these unlicensed fishermen to enable them to form cooperatives and encouraging them to pay their fishing licenses/permits and regularize their operations. The cooperatives receive capacity building in sustainable fishing and fish resource management, postharvest handling and value addition, business and marketing, advocacy and lobbying skills. Together with other partners working in the development of the sector, Aquaculture Zimbabwe has been participating in fisheries and aquaculture policy gap analysis as well as developing recommendations for policy amendment. Aquaculture Zimbabwe (AQZ) is a local registered Private Voluntary Organization working towards the development of the fisheries and aquaculture subsector for improved livelihoods in the country. 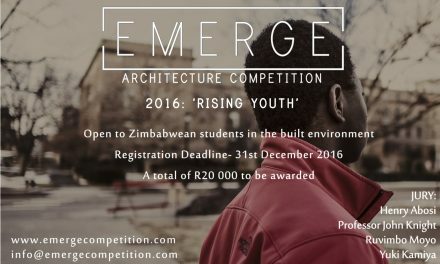 The organization was registered as a Trust in 2008 and as a Private Voluntary Organization in 2012. AQZ provides capacity strengthening to individuals, communities and organizations in various fields which include agriculture, aquaculture, fisheries, business development services, nutrition, water sanitation and hygiene as well as natural resource management. PreviousWhy Governments in Developing Countries Do Not Learn the Basics of Hydro-Meteorological Disaster Risk Reduction?